The combination of genres appears to be a constant throughout the photographic practice of Delphine Diallo, whose documentary portraits often highlight the simplicity of life, free from striving, possession, and egos. Born to a Senegalese father and a French mother, Diallo captures the multi ethnic figures surrounding her in a quest to signify inner and outer beauty alike, all while protesting against the increasing materialism that she witnessed during her sojourn in the western world. To the black and white photographs of her relatives and close friends, she adds colourful cut outs from magazines, thereby taking the images out of their static form. With added texture and hues, Diallo creates dynamic narratives such as In The Magic Studio, a photographic homage to acclaimed Malian artist Malick Sidibe and his Bamako workspace. Highness, a futuristic series that springs from Diallo’s adoration of the sci-fi genre, and to which the artist refers as a “hair show [on] a whole other level,” blends design, architecture, and photography to create imposing female figures. They assume determined poses while carefully crafted braid structures prolong into masks covering their faces. 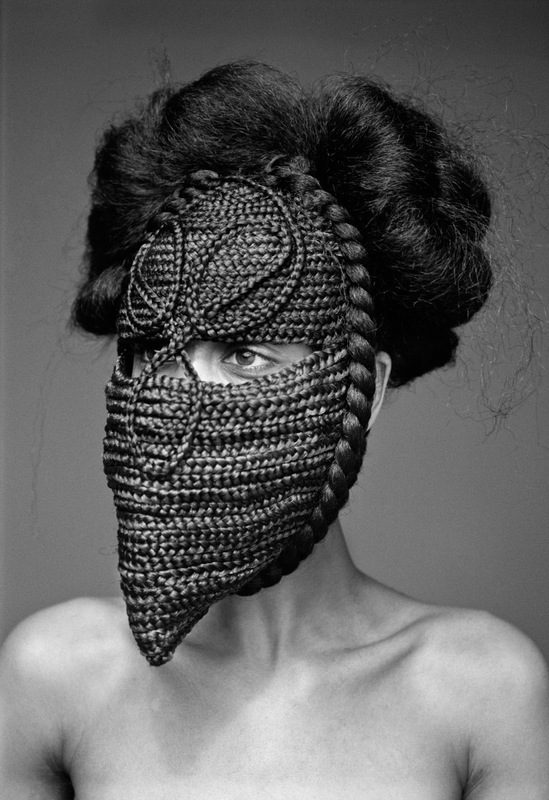 Adopting a beak-like complex, the facial adornments intimate the idea of protection from the patriarchal world, all while conferring a powerful identity to the women through their sharp, almost regal design. Possible premonitions of a not-so-distant era revolving around women, the mighty creatures commence to exist in Diallo’s futuristic world, at the crossroads of reality and the imaginary.